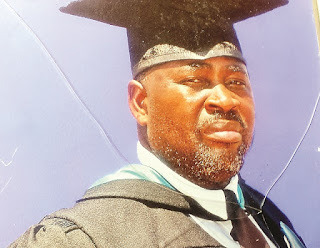 A COUPLE from Nkulumane suburb in Bulawayo died on the spot following a horrific car crash near Shangani while they were on their way from the burial of Johane Masowe eChishanu Vadzidzi VaJesu Church founder Aaron Mhukuta Gomo, popularly known as Mudzidzi Wimbo. Wimbo died on Thursday last week and was buried the following day at the church’s shrine in Shamva, Mashonaland Central. Emmanuel Mavazhe (50) and his wife Monica (48), who were both civil servants, were passengers in a Toyota Ace alongside four other people when the accident occurred on Sunday evening. Both of them were accountants with the husband employed by Bulawayo Polytechnic while his wife was the chief auditor in the Ministry of Local Government, Public Works and National Housing. One of the passengers is admitted to the United Bulawayo Hospitals while the driver and others escaped with minor bruises. The Chronicle caught up with the couple’s family yesterday after their burial at West Park Cemetery. Emmanuel’s nephew, Mr Emmanuel Mawarire, said the accident was so horrific that the bodies were deformed. He said he was not expecting to lose both his uncle and aunt. “We were not there but the driver told us that the accident occurred as he was trying to avoid a head on collision with a haulage truck which had encroached onto his lane. He said after moving to the other lane, he discovered that there was a herd of cattle on the road so he lost control of the car as it hit some of the animals,” said Mr Mawarire. He said they were told that the car rolled several times before it rammed into a tree. “My uncle’s head was crushed. He had broken ribs, was bleeding through the mouth and nose and was pronounced dead following the impact. His wife also suffered some deformities while her skin on the head got peeled off leaving the skull exposed,” Mr Mawarire said. Monica’s brother Mr Innocent Mahwama said he was yet to come to terms with his sister’s death. “It was a very difficult moment for me. I struggled to come to terms with her death. Even during the burial preparations, I needed serious assistance. Her physical appearance after the accident had totally changed it was very difficult to view her body. I couldn’t believe that it was my sister’s body,” said Mr Mahwama. The driver of the vehicle, who declined to be named, alleged that some suspected robbers could have deliberately driven the cattle onto the road to cause the accident and later rob the victims.